This topic contains 2 replies, has 3 voices, and was last updated by TPC_YaYa 5 months, 1 week ago. Hi, I’m Grace. It’s been 7 years, and it’s finally time to admit to myself that this isn’t going away. All my pain is from right behind my right hipbone, as it has been since age 16. The funny thing is, I’m fairly certain I’m being dismissed solely because this is a gynecological issue. I’ve had kidney stones, which hurt far less, but which were treated with much more empathy and concern on the part of medical professionals. I know that narcotic painkillers are not a good long term solution, but god I miss the kidney stone pills that I saved to use for this (more painful) problem instead. Essentially, no one knows what’s wrong with me. It used to occur solely on the first day of my period. Gradually it spread out over the month, and now I feel it every day. At first they thought it was an ovarian cyst. Birth control worked for a while, but gradually the effect wore off, and I’m not good at remembering it anyway – forgetting and starting my period just triggers the pain, so I’ve stopped alltogether. After that, they thought it might be endometriosis. My family was always sceptical, and I’m still on my mother’s insurance, but I finally managed to talk them into a laparoscopy last year. It turned out that because of an ovarian cyst in utero, my ovary was small, shrunken and useless, and the scar tissue had adhesed it to my abdominal wall as well as my bowel. They removed the ovary and Fallopian tube. I was so happy! I was finally vindicated, I had proof of a real problem, and they had solved it. Surely my pain was now gone forever! Nope. Still there. Im about a 3 on the pain scale on an average day, with occasional spikes into 7 territory, and an 11 on my period. Occasionally I have the sensation of something MOVING under my skin behind my hipbone, which is extremely disquieting. I’m ostensibly living my best life – I’ve graduated; I’m living abroad, employed, have my own place. I’ve given up on making anyone listen to me. My family’s sick of hearing about it, and I’m sure when doctors hear I’ve stopped my ineffective pills they’ll just blame that. I have my own insurance abroad, but I don’t want to undergo a lot of medical procedures in a foreign country. I have no one to talk to about this. I know that I don’t have it as bad as many people – I am able to get up and do what I need to do every day except my period. I know I definitely don’t have it the worst of anyone, but I just need someone to tell me this really counts as chronic pain and I’m not just stealing attention from people with real problems. I’m sorry, this is probably excessively whiny. Don’t apologize we love hearing about personal pain stories! You’re pain has value and a meaning. Don’t doubt what you’re feeling as not being chronic pain, because chronic pain is defined as pain lasting more than 3 months. We’re here to study the causes of chronic pain and regardless of your situation your story matters to us. Please share your story with us at http://www.painstory.science because we are here to better understand your pain and the pain of others in order to find better treatments for chronic pain. Your story and journey with pain is to be validated in every way. What you are experiencing is real and no one should ever feel they have the right to tell you that it isn’t. You can post here everyday and write has much or as little as you want and we will read it and we will respond with compassion and understanding and friendship. There is never a wrong way to tell one’s story. 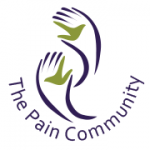 We believe that pain patients are the informed experts in the world of pain. We live it and manage it and fight through it and no one understands the pain more than a person who lives with pain. We are here for you in every way we can be. We want you to be able to tell your story and to be heard and to be believed and to be validated by the medical community and family and friends. You are not alone! You are experiencing “real chronic pain”. You are to be believed and given respect, compassion, support and so much more.